A State Department of Health investigation found that exposure did not pose a higher risk, but players and parents can take precautions. A Washington State Department of Health investigation has found that artificial, crumb-rubber fields are not causing increased rates of cancer in local soccer players, officials announced Wednesday. The issue was brought to light in 2009 by University of Washington associate women’s soccer coach Amy Griffin, who became concerned when several goalkeepers developed blood cancers at around the same time. Griffin compiled a list of players with cancer, a number that had grown to 53 people by 2016. 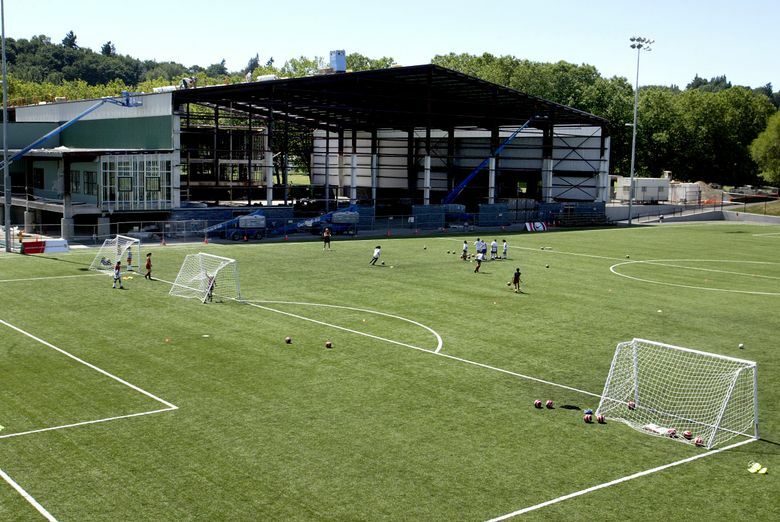 But the study, which was limited to people meeting the case definition between 2002 and 2015 — the former being the year these types of artificial turf fields began popping up in the state — found that exposure did not pose a higher risk. “As a result of our investigation, we found that the number of players … was less than expected, given rates of cancer given Washington residents of similar ages,” said Dr. Cathy Wasserman, state epidemiologist for noninfectious conditions. The investigation also ruled out that any one position on the field is at higher risk. There was a specific concern about goalkeepers, given how often they come in direct contact with the surface of the playing field, but neither people with a history of playing soccer nor goalkeepers specifically had an increased rate of cancer diagnoses. There were a handful of caveats. Wasserman was quick to acknowledge that the study was merely a first step, an investigation rather than a formal study. The scope was limited to whether this specific group of soccer players was displaying higher rates of cancer than those expected in the general population. • Wash hands after playing on the field and before eating. • Take off cleats, sports equipment and soiled uniforms outside or in the garage to prevent tracking crumb rubber in the house. • Shower after play and quickly clean any cuts or scrapes to help prevent infection. • Athletes who accidentally get crumb rubber in their mouths should not swallow it. Due to the results of the study, the state’s recommendation is that parents should be aware of the issue but not concerned. The state does not plan to continue investigating this matter, though it is supportive of ongoing studies elsewhere in the country. “We do support those other efforts, and we will be following their results,” Wasserman said.